Intercom systems can make your business more secure. They can be placed at doors to provide access to visitors even if there is no one to constantly monitor the door. It helps to check unauthorized entries. 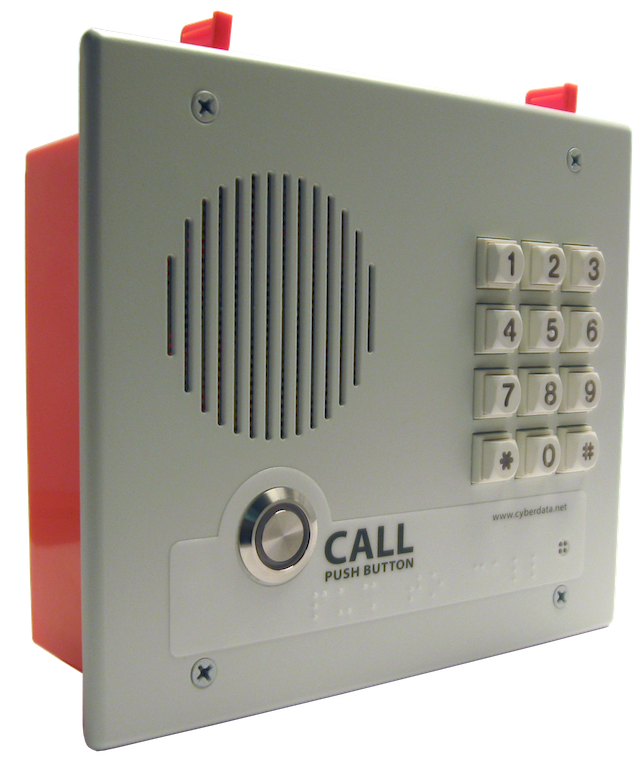 Intercom systems can also be used for one-to-one communications, as well as, for group calling. Following are the benefits of Intercom systems. Intercom systems help to prevent forced entries. If a person wants to enter the building, he / she will have to identify themselves first. The person monitoring the system can allow or deny entry based on the identification process. This deters potential thieves and vandals as well. Following are some other security benefits. · Restricted access – There can be multiple access points to a building. Intercoms help to identify those points and secure the building. For example, take the case of a building that has door access and elevator access. The system can be implemented in the elevator. The elevator will stay grounded until the person who wishes to enter the building properly identify themselves. · Outside access – You can place the intercom system near the outside gate if you want to restrict access to your building premise itself. This is one advantage of the system, it is versatile. · Video Integration – Intercom system can be integrated with video surveillance. The advantage of this system it that you can see the person and then grant access. The recorded footage of that person can be viewed later as well, in case of any security issue. Communication with each other at the workplace is important for the smooth running of the operation. With the help of intercom systems, the employee can communicate with each other within the prescribed distance. Also, important announcements can be made over the system as well. For example, in a supermarket if the manager wants to see a particular employee to discuss any important matter at his / her office, he / she can announce it over the intercom. Some other features / benefits of the intercom system are as follows. · Emergency calls from point-to-point station groups. · Facility to transfer calls to external phone. Intercom systems help to improve security, as well as, the communication within the business workplace. A growing number of organizations today are trying to find ways in which they can maximize their resources and also increase operational efficiency. In such a scenario, the unification of business and multiple security systems is fast gaining popularity. A significant amount of time is wasted at the primary command center when the operators switch between access control systems and video surveillance for assessing an incident in order to take suitable measures. Further, an additional amount of time gets wasted when operators have to physically move or send a floor attendant or guard for responding to a situation such as “access denied” at the entrance door. The integration of access control, intercom and video surveillance provides a great opportunity for greater efficiency to be exercised by the security department of an organization. With the support of an open protocol such as SIP (Session Initiated Protocol), organizations have the opportunity to pick an SIP-enabled device on their own, which is best suited for their operations and budget. In case there is an alarm for “access denied”, the combination of intercom and video could enable the operator to directly communicate with the person who is perhaps attempting to get through ‘personnel-only’ zones. Intercom could also be used for screening all the individuals who are accessing VIP zones. This will help in keeping un-welcomed guests out of the important security areas. The use of intercom communication at docks can help in responding to emergencies or dock-worker requests. With the help of an integrated communication and security system, the outgoing and incoming vehicles can be monitored whether through license plate identification cameras or an access control reader. The security personnel are equipped to visually examine incoming vehicles and verbally communicate with drivers before manually opening the gates using a single integrated security application. Advanced SIP-enabled solutions will also help in user-to-user communication. This means there would be lesser number of steps required to reach out to a manager or operator who needs to be involved. There are numerous more possibilities that can be explored with the help of intercom functionalities. It isn’t unusual for businesses to spend almost 50 percent of its phone costs on F2M (Fixed Line to Mobile) using the office PBX. But advanced technologies such as the GSM gateways can be greatly helpful in reducing office telephone bills. GSM (Global System for Mobile Communications) can be defined as a technology which is used by several mobile operating companies. In fact, more than 80 percent of the mobile phones all over the world make use of the GSM technology. GSM Gateways connect mobile phones directly to the telephone system of your office. With the help of these devices the phone calls received by your office system can be directed to the gateway converting the landline to cell phone calls into cell phone to cell phone calls. In several countries, the mobile or cell phone operating companies offer calling rates which provide very low costs for mobile to mobile calling. In comparison, the rates for landline to mobile calls are much higher. A GSM gateway can range from a single SIM version to 128 SIMS. So the GSM gateway benefits can be enjoyed by small businesses as well as big ones. These smaller SIM devices are often termed as Fixed Cellular Terminals. In combination with the low call rates offered by some operators, the installation and operation of GSM gateways could further cut down on your business telephone costs. FCT’s could be used independently, connected to ISDN circuits or analogue office phones as appropriate. The FCT’s which are more sophisticated can be programmed and can be directly connected to your office phone system without requiring any system modifications. VoIP GSM gateways are gaining popularity because they are able to significantly bring down the M2F and F2M calling costs for businesses. When you deploy these gateways in an IP telephone environment, the F2M costs could actually be reduced by a minimum of 50 percent. But there is no change in the quality of calls or comfort of use. Several businesses are even able to reach more than 60 percent call cost savings. It is vital to select the right FCT or GSM gateway so that you can enjoy the additional benefits of offering resilience to the VoIP system. Certain operators can offer GSM gateways that are VoIP enabled and can also provide backup for all outbound calls. This is helpful in case there is a problem or failure in the broadband connection. Cal4care Pte ltd offers a wide range of business communication products and service. Our company has been in this business for a decade. Our primary objective is to improve the secure business communication process for the low cost by using the cutting edge technologies. We act as a bridge between customers and some the best innovative business communication products. Cal4Care offers the wide range of product to simplify the business communication process. Cal4care made a pact with some of the leading communication oriented product manufacturer’s like 3CX, Beronet, Patton, H-tek, Yealink, Polycom etc These companies are leading from the front when it comes to processing efficiency, technology, and speed. Our mission is to give the best solution for the customers with cutting edge technologies. Some of our services are calncall with this app can make a call to almost all the countries for a very less cost, 3CX a software based PBX, an intercom system, video surveillance equipment, high-quality headphones or card/biometric readers VoIP gateway system. We also provide IT support such as desktop support/server management, firewall, antivirus, wireless networking, web hosting etc. What makes us very distinctive is with the help of our highly experienced professionals We back our products and services with the after-sales support we are giving 24/7 support for customers in all possible means (chat, email ad phone).